Durie Design was invited to rejuvenate and refresh the beautiful garden surrounds of the acclaimed resort, Hayman, Island – Australia’s idyllic nature island destination in the Great Barrier Reef. 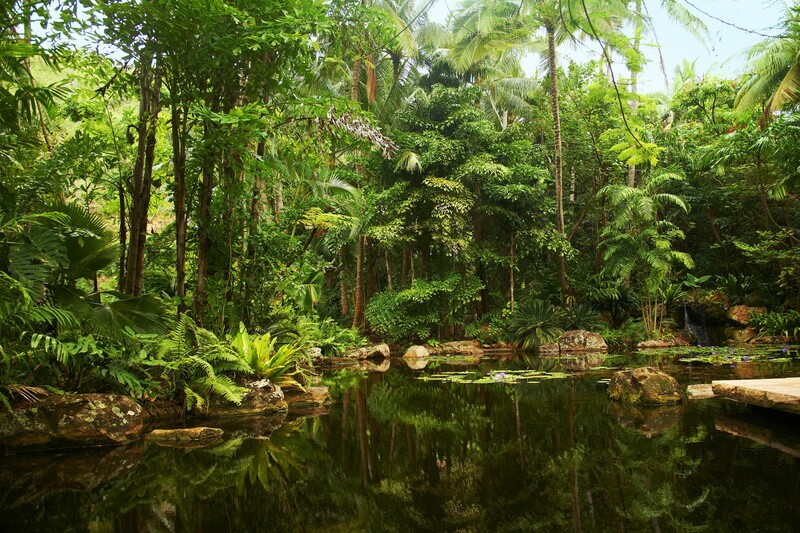 Jamie and the team had to recreate the breathtaking and tranquil Hayman garden landscape setting which was severely impacted by recent Tropical Cyclones Anthony and Yasi and forced the temporary closure of the resort until the end of July 2011. The new botanical garden features some 33,000 magnificent new plants and 327 new species adding more colour and perfume to all parts of this 16 hectare landscaping masterpiece. Durie Design has not only rejuvenated the existing gardens, but have designed and created many exciting new outdoor destinations for the guests to enjoy in Hayman’s classic, sophisticated, yet under-stated style.